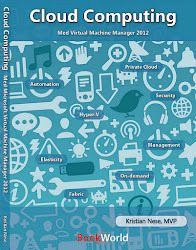 Recently, Microsoft announced that a single VMM server will be sufficient in order to take advantage of Hyper-V Replica – a software as a service offering from Windows Azure, that will orchestrate DR workflows in your on-premise cloud infrastructures, managed by System Center 2012 R2 – Virtual Machine Manager. This is a huge step in the right direction, in order to ensure HVR adoption for customers and partners. The requirement of having two VMM infrastructures would not only be an additional cost, but also lead to administrative overhead and complexity, since a Hyper-V host can only be managed by a single VMM management server at a time. Before we can go ahead and deploy HVR into our environment, the following requirements must be met. · Windows Azure account. 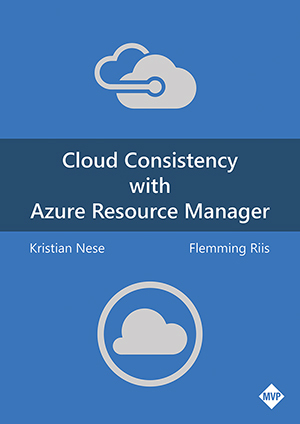 You will need an Azure account with the recovery services feature enabled. · .CER certificate that must be uploaded as a management certificate containing the public key to the Hyper-V Recovery vault, so that the VMM server can be registered with this vault. Each vault has a single .cer certificate that complies with the certificate prerequisites. · .PFX file. The .cer certificate must be exported as a .PFX file (with the private key), and you will import it on each VMM server that contains virtual machines that you want to protect. 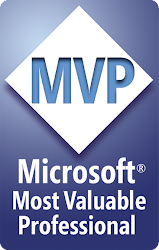 This blog post will only use a single VMM server. · If you want virtual machines to be connected to a VM network after failover, you configure network mapping in Hyper-V Recovery Manager. During the installation, you must point to the .pfx file of your .cer certificate and map it with the vault created in Windows Azure Hyper-V Recovery Manager. Specify the VMM server name, and enable ‘Synchronize cloud data with the vault’. For you information, there will only be metadata that is shipped from VMM to Windows Azure. Once the setup has completed, the setup can start the VMM server service again, and you can open the VMM console. The next thing we will do, is to create clouds in VMM. A cloud is an abstraction of your physical fabric resources, like virtualization hosts (host groups), networks, storage, library resources, port classifications, load balancers and eventually the user actions that you permits. Also, please note that the capability profile that contains ‘Hyper-V’ should be selected as part of the cloud. This is a requirement so that only virtual machines tagged for Hyper-V, can participate in the DR workflows that is solely depending on Hyper-V as the hypervisor. Note that there are currently no virtual machines enabled for protection, although there could be virtual machines running in these clouds. To complete the configuration of the HVR service, we must continue to work in the Windows Azure Portal. Click on your cloud under protected items, that should be seen as the primary cloud (running the primary workload). In order to complete the configuration, click configure protection settings. This will let you configure the replication location and frequency. If you are familiar with Hyper-V Replica, you will recognize the options here. Target cloud: this will be the DR cloud you created in VMM, that will receive replication from the primary cloud, running the primary workload. Copy frequency: Choose between 5 minutes (default, 30 seconds and 15 minutes – which was introduced with Windows Server 2012 R2 – Hyper-V.
Additional recovery points: Default is zero, but you can have in total 15 recover points. Frequency of application-consistent snapshots: Hyper-V Replica does also support app-consistent snapshots in addition to crash consistent snapshots. This is ideally for SQL servers and other critical applications enabled for DR with HVR. Data transfer compression: default is ON, so that the data is compressed during replication. Authentication: Certificate and Kerberos is the option. HVR will let you use certificates so you can replicate between different domains if you would like, without any trust. Replication Method: Over the network is default – and recommended, but offline is also an option. Replication start time: Immediately – which is good when you have the bandwidth. An initial replication will copy and replicate the entire virtual machine (with its virtual hard disks) to the recovery site. A good idea might be to schedule this to happen during night, for example. Once you have completed the configuration, click ‘Save’. This will initiate a job in your VMM and Hyper-V infrastructure that will pair clouds, prepare the VMM server(s) and clouds for protection configuration, and configure the settings for the clouds to start protecting virtual machines. Once the job has completed, go back to protected items in the Azure portal and verify that DR is enabled for your clouds. We must also map some resources in order to streamline the potential failovers between our cloud. If you have worked with Hyper-V Replica, you may remember that after you have enabled initial replication on a new virtual machine, the wizard will send you to the virtual NIC interface on the hardware profile, so that you can configure an alternative IP configuration for the VM. This setting in HVR let us do this at scale, so that network A on the primary cloud could always be mapped to network A2 on the DR cloud, for instance. Click on ‘resources’ in the portal, and map your networks. It is important that these networks are available in the cloud configuration in VMM in order to show up here. Next, let us enable DR on our virtual machines running in the primary cloud. In VMM, we will notice a new option under ‘Advanced’ on the hardware tab on the virtual machines. The screenshot below shows a virtual machine running in my ‘Service Provider Cloud’ which is the primary cloud, where I enable DR.
Once this has completed, the virtual machine’s metadata should be exposed in HVR and ready to use in a recovery plan. Note: if DR should be considered as mandatory in your environment, a good tip would be to tag the hardware profiles on your templates to be enabled for Hyper-V on the capability profile, as well as DR enabled under advanced. Then all newly created virtual machines based on your templates, will be available in the recovery plans in HVR. Also note that if Hyper-V Replica Broker is in use (in a Hyper-V Cluster), you can’t use protection on VMs that are not configured as highly available, running locally on one of the nodes. Back in the portal, we must create a recovery plan. Now that we have a VM enabled for protection, it is time to create one or several recovery plans. A recovery plan gathers virtual machines into groups and specifies the order in which the groups fail over. Virtual machines you select will be added to the default group (Group 1). After you create the recovery plan, you can customize it and add additional groups. This is very useful if you have distributed applications (everyone have this!) or specific workload you would like to group. The power of HVR is the ability to orchestrate and facilitate the failovers. Click on recovery plans in the portal, and start the wizard to create a new one. First, you must select source and target. In my example, since using only a single VMM server, I can use the same on both source and target. Specify a name and continue. Select virtual machines that should participate in the recovery plan. We can see the VM I enabled previously at this stage. Once the job has completed, you should have successfully enabled a recovery plan for the virtual machine(s) and is able to perform the workflows like failover (planned, unplanned) and test failover. Thanks for reading – and in the next blog post or so, we will look closer at DR operations at scale and how to use groups together with recovery plans to meet critical business requirements. I am hoping to see you at the Nordic Infrastructure Conference in January again. It looks like we are into yet another good conference in the cold north, and this time my focus will be on the Window Azure Pack. In details: I will cover Windows Azure Pack – under the hood, where we will look closely at the architecture around a distributed production deployment. We will also look at the dependencies and how the communication among the components are in use. Windows Azure Pack is truly an interesting area where we can leverage all sort of new technologies delivered through the foundation in Windows Server and System Center. Specifically Hyper-V and Virtual Machine Manager together with SPF (Service Provider Foundation) for VM Clouds. My focus will be solely on VM Clouds to deliver Infrastructure as a Service based on your own resources. You could be a service provider that want to learn about this solution, that also wants to bring network virtualization into your environment so that you can have a secure multi-tenant infrastructure for your tenants, or you can be an enterprise customer that want to provide your users with a superb self-service experience and help them to deploy complex workloads like Exchange, SQL, Sharepoint or a domain controller. By looking at the tenant portal and what you can do, it sure looks very simple. Behind the scenes, there is a lot of cool stuff going on that I am sure you will want to know more about. I hope to see you at NIC, and if you have any questions before, during – or after the show, I will be around to assist you as good as I can. When you have installed VMM, you have probably noticed all the different settings and options in fabric, located under Networking. In order to streamline the configuration on the hosts by using port profiles and logical switches, we also have something called port classifications that you will find useful in your cloud. A port classification is an abstraction of the virtual port profile, that let both the administrator and the tenants (using VMM console) choose for their virtual machines virtual network interfaces, that is bundled in a logical switch in VMM. And if we take a look at the port profiles (virtual port profiles), we can see that these profiles match the port classification. To get a better understanding of the classification, we must take a closer look into the virtual port profiles. These profiles should contain configuration related to virtual network adapters. A virtual network adapter can be a vNIC on the VMs, or a vNIC on the hosts, created on a NIC team (logical switches). We have offload settings, security settings and bandwidth settings. All of this could be different (and should be different) depending on the workload associated with the virtual network interface. Taking bandwidth settings for example, we know that storage (iSCSI or SMB) is quite critical in the context of virtualization, and therefore would like to configure the QoS settings here so we can ensure enough bandwidth for this workload. If we take a look at our cloud in VMM, we also see that we can make port classifications available here, that indeed maps to virtual port profiles (in our logical switch). That means that we can provide our tenants with port classifications – that are abstracted from the underlying port profile with detailed information, and let them specify the classification. Hyper-V in Windows Server 2012 introduced us for QoS on the vNIC for the virtual machines. But these settings are not directly expose through VMM. In order to have QoS on our virtual machine, we must instead use port classifications. This means that we can’t control each vNIC in the same way as in Hyper-V Manager, but instead manage this at scale through port classifications and port profiles.